Goodbye Paint and Hello color. 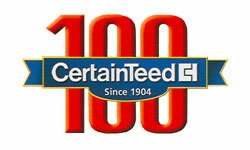 Bufftech is the only vinyl fence producer to offer ColorLast fade protection. This exclusive feature on our vinyl fence provides superb color retention that lasts longer when compared to competitive products. The acrylic formula provides superior protection from the harsh sun, and keeps colors alive and vibrant for longer. Picky neighbors? 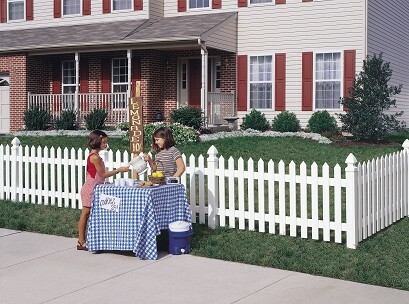 They'll love the Cape Cod vinyl fence too! Why? Because it's designed to look great from every angle, you will be the envy of the entire neighborhood. Add the elegance and durability of Bufftech's traditional style Cape Cod fence to your home and gain many years of maintainance free fence. 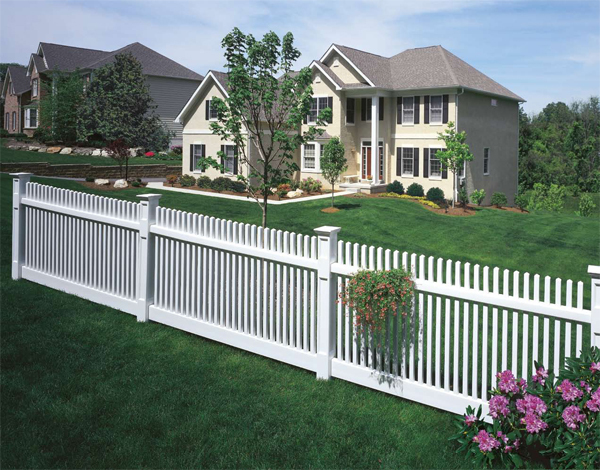 What makes vinyl fence mainainance free? Well it probably has to do with the fact that it's not going to chip, crack, fade, or rot; so you can spend your time doing something you actually enjoy, instead of repairing & painting an old fence.